Do you remember the last time you accessed your Inner Wonder Women power and listened closely to your Inner Voice to help you move through a personal challenge that made you feel super-charged and super alive? To honor Your Womeness on Mother's Day, let's celebrate Owning Your Wonder Woman Super Powers and the importance of using her as an archetype in engaging and living your own heroins'e journey. As you recall I shared the Wonder Woman's story on International Day. It goes that she was to demonstrate the power of women as one of the most powerful Amazon Women, who were created by Aphrodite. They were beautiful, ageless and possessed great strength, agility and sexual equality. Graced withe eyes of the hunter and unity with animals byArtemis, Goddess of the hunt, animals and the moon. Superhuman speed and flight by Hermes, God of Speed and Messenger of the Gods. As her Heroine's journey is told, it reminds us so much of our own Super Power and strength. Such as, she regains her powers through the earth. She was able to relieve her body of physical injury and toxins through communing with the earth through sacred rituals. She gained access to the Violet Ring of Love, which among other things, allowed her to help reveal a person's True Love and Inner Love to them. All which I resonate with deeply. I am sharing and retelling her mythology with intention to activate your ownInner Wonder Woman and to Gain strength through the Power of Personal Triumph. I am Calling her in to Access this Super-Charged day to help you on your Heroine's Journey. To help remind you of your Super Powers and Purpose. *Open to 8 women to honor the Power of 8 on this 8 Day! said to have deep and long lasting effects. *It's all about the intention and invocation today and the next few days. Be That Woman You are Meant to Be! 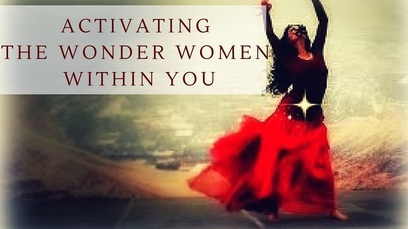 Schedule Your Activating The Wonder Women Within YOU - Intuitive Guidance Experience today. 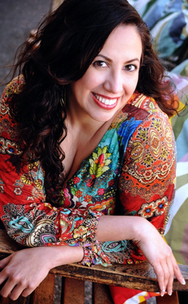 Marcela Liliana Veron is Your Intuitive Coach.She specializes in Relationship and Love Alchemy. Marcela brings the Goddess back into your everyday living. Marcela is a Priestess, Medicine Woman, Essence & Embodiment Coach, Lifestyle Alchemist, Energy Practitioner and Sacred Arts Mentor & Facilitator. 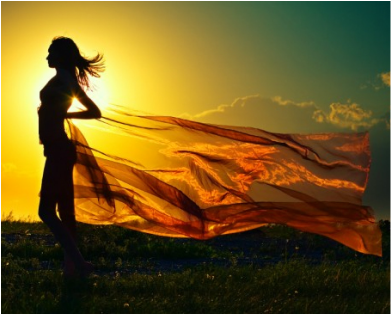 She works with women, who want to reconnect with their feminine energy, express their soul beauty, deepen their feminine power and bring back the magic into their love life.